A valentine’s day boat cruise is a great gift idea for your sweetie this year! Yarr, I be Captain Corbin the magic pirate and this summer I’ll be performing boat cruises, both magical and piratical. Not all treasure be silver and gold, and tickets for a valentines day boat cruise is a treasure yer mate won’t soon forget! Valentine’s day boat cruise tickets are a treasure yer mates won’t soon forget! All summer long, every weekend I’ll be hosting boat cruises all over ‘! Shiver me timbers I’ll be busy, but having a lot of fun. As a result, no matter where you plan on vacationing I’ll probably be there. In July and August, on the weekends I’ll be hosting three main boat cruises. Two, just north of Peterborough Ontario on beautiful Stoney Lake. Every Sunday I’ll be in Gravenhurst performing a pirate Cruise on Lake Muskoka. All three cruises would make wonderful gift ideas. A Valentine’s Day boat cruise is something your sweetie is sure to cherish! These all new pirate themed cruises will be adventures unlike any before. 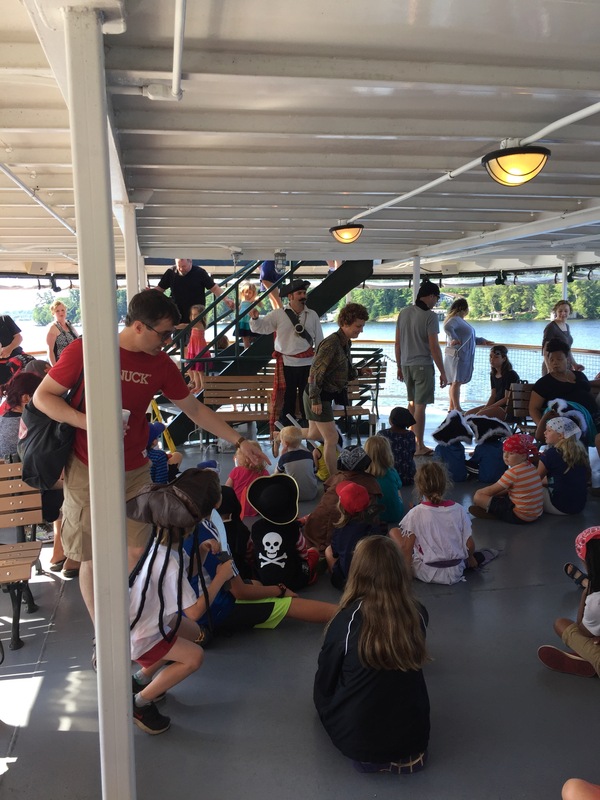 full of Pirate hi-jinks, crafts and magic the Stony Lake Cruises will be events that will leave lasting memories. Aimed at familys these shows are interactive and fun. Every Saturday night in July and August I’ll be back at Stony lake cruises hosting a formal dinner cruise as The Amazing Corbin. Not a pirate themed show, but a formal magic show with incredible magic and mini illusions after dinner that will thrill and amaze. this presentation is family friendly, but definitely aimed at an adult audience. The magic is incredible and the dinner and cruise is incredible as well. A valentine’s day boat cruise is a great idea, especially getting tickets to this thrilling show dinner and cruise. Ticket information is available at Stony lake cruises. Well, Shiver me timbers, I be back! Every Sunday morning I will be in Gravenhurst Ontario with the Muskoka steamship association. I will be taking over the Whenonah 2 for a two hour pirate cruise on Lake Muskoka. This great family friendly cruise is a feature muskoka entertainment and not to be missed. I have been hosting these cruises for over 15 years now. Always a lot of fun and full of pirate hi-jinks. The crew gets involved and the lake fills with pirates attacking our ship. These cruises always sell out. Every week. As a result, booking early is strongly recommended. It is not uncommon for these cruses to sell out a month ahead of time. Tickets to this family friendly boat cruise make great gift ideas. 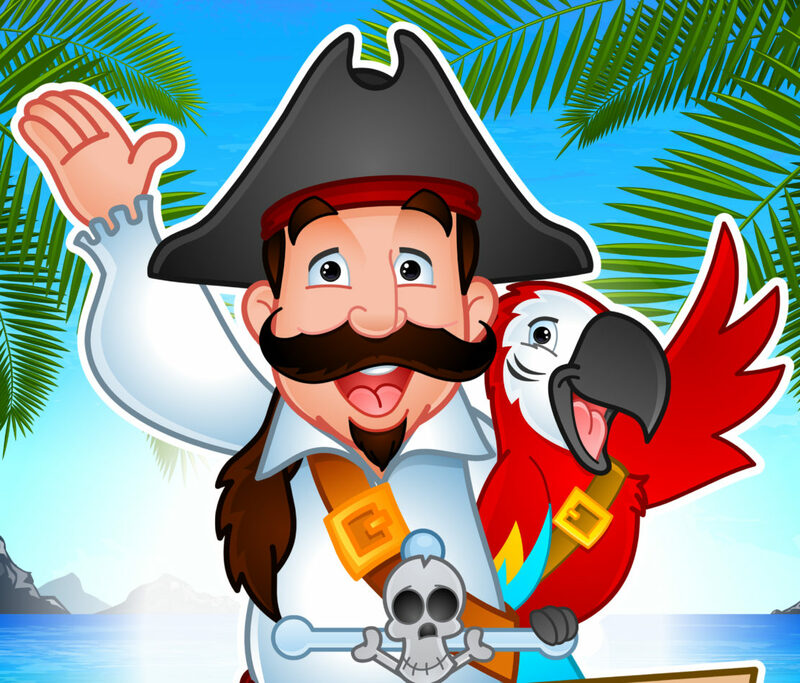 A Valentine’s day Boat Cruise with a pirate is sure to bring a smile to everyones face.